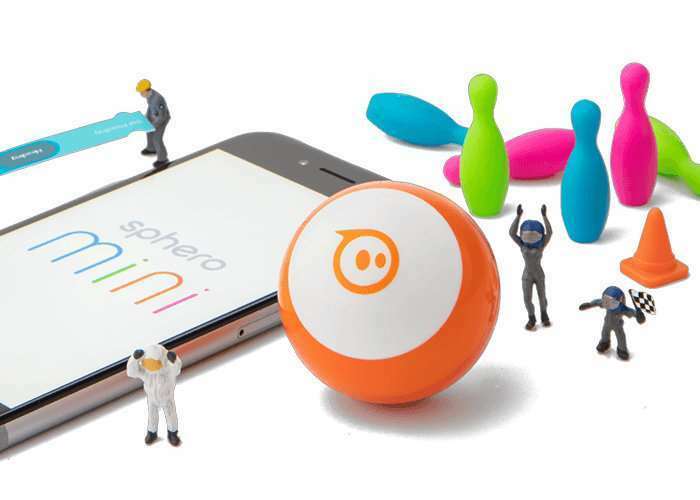 Robotic ball maker Sphero has introduced a new addition to their range of small rolling robots with the launch of the more affordably priced Sphero Mini which comes complete with its own smartphone application allowing you to play games, learn to code and more. The Sphero Mini robotic ball is now available to purchase priced at £50 and is available in a wide variety of different colours including orange, green, white, pink and blue. • Drive Mini using different modes with the Sphero Mini app – Joystick, Tilt, Slingshot, or Face Drive. • Face Drive – Face Drive is a hilarious new feature that uses your facial expressions to drive the ball. • Gaming – Sphero Mini can be used with the app as a video game controller. Play 3 games with more updates on the way. • Interchangeable Shells – Colorful, interchangeable shells allow you to switch one out to suit your mood.